In Granby near Winter Park and Tabernash Colorado this YMCA facility hosts a long list of adventure and explore activities including Colorado's first summer tubing hill, playground and picnic shelters. 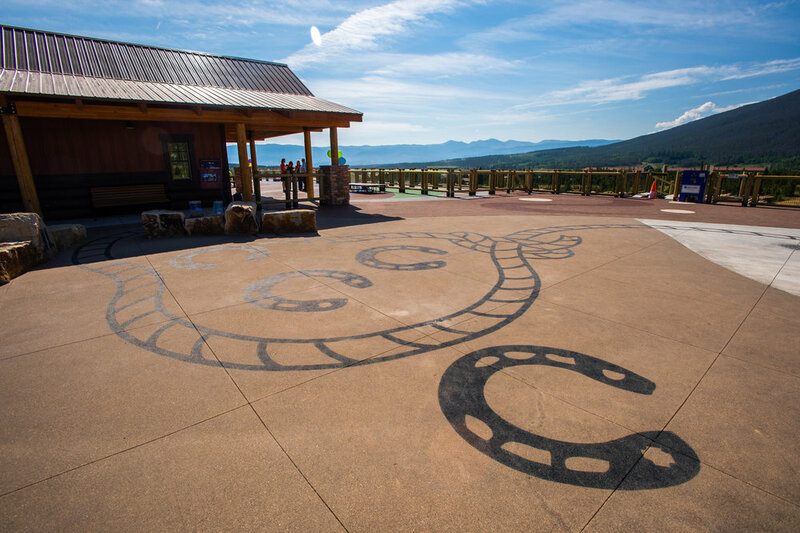 The YMCA of the Rockies camp in Granby, Colorado is a place where relaxation, adventure, and connection all come together. Our team designed the master plan for this family park, including phased construction of numerous adventure play elements. Set in the heart of the Rocky Mountains, our plan for the YMCA camp began with installation of a summer tubing hill. It brings thrill of flying down a mountain side on a sled to the middle of summer. Our team designed the tubing hill and brought Snowflex technology to Colorado for the first time. 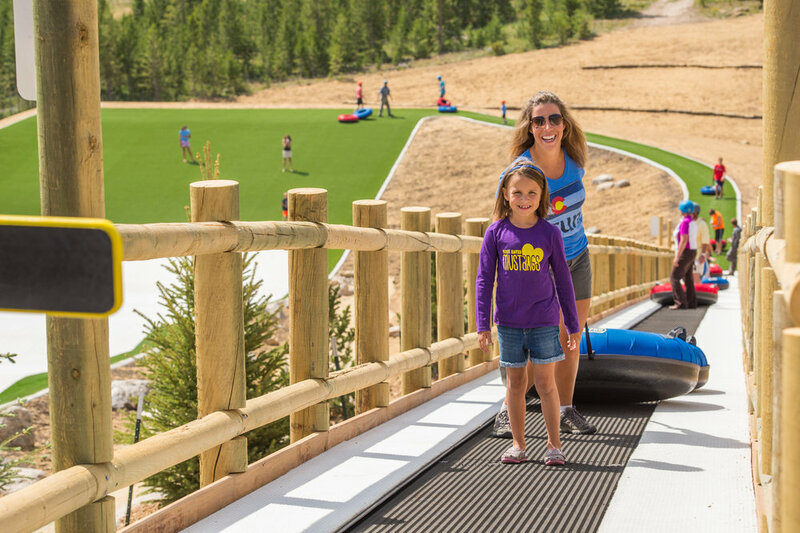 The Summer Tubing Hill was the first phase of Snow Mountain Ranch to be completed; click here to learn more. Click here to see more about the Spruce Saddle Adventure Zone.